While a growing number of states have legalized marijuana for medical use, medical marijuana differs from pharmaceutical treatments in that even legal forms are not FDA regulated. For this reason MMJ BioScience will follow the FDA's strict regulatory development process for MMJ BioScience’s first pharmaceutical cannabidiol (CBD) derived medicine. MMJ International Holding’s, the premier medical cannabis research company that is advancing the science of medical marijuana through patient clinical research and the operation of medical cannabis healthcare businesses, today announced that it's affiliate MMJ Bioscience has engaged Bianca Weinstock-Guttman, MD, as their principal investigator. Dr. Bianca Weinstock-Guttman is a Professor of Neurology at the State University of New York at Buffalo and serves as Executive Director of the New York State Multiple Sclerosis Consortium. She will execute the FDA approved study exploring the potential therapeutic applications of cannabinoids for progressive multiple sclerosis patients. MMJ BioScience's will be providing new evidence regarding clinical outcomes leading to commercial success in the scientific process of MMJ BioScience’s first pharmaceutical cannabidiol (CBD) derived medicine. A large percentage of Multiple Sclerosis patients are resistant to currently available treatments and experience symptoms including spasticity and pain. These conditions are difficult to manage and treatment options are currently limited. The day-to-day impact of these devastating conditions are significant and with high rates of mortality, there is a considerable unmet patient need for MMJ BioScience’s novel new drug. "Our initiation of the Phase 2 clinical trial programs and the eventual FDA Fast Track Designation for Progressive Multiple Sclerosis signify important steps forward in MMJ BioScience's ongoing commitment to investigating innovative scientific approaches with the hope of bringing new treatment options to patients," stated Tom Ryan. According to the FDA, Fast Track Designation is a process designed to facilitate the development and expedite the review of drugs to treat serious conditions and fill an unmet medical need In the U.S. The FDA Orphan Drug Designation is granted to medicines and biologics that are defined as those intended for the safe and effective treatment, diagnosis, or prevention of rare diseases or disorders that affect fewer than 200,000 people in the U.S. While a growing number of states have legalized marijuana for medical use, medical marijuana differs from pharmaceutical treatments in that even state to state legal forms are not FDA regulated. For this reason, there is no way to ensure consistency between batches or even that there is accurate product labeling. In addition, there is no standardization in terms of how these products are prescribed or dosed for specific conditions. 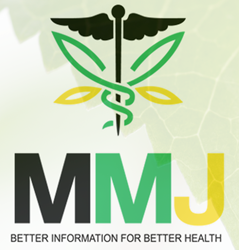 The MMJ BioScience team will be carefully conducting these controlled studies to determine the benefits and risks of medical marijuana products for safe patient use.